Miscarriage is an extremely common reproductive experience, but one that many folks describe as being isolating and lonely. It doesn’t have to be this way! Explore how to apply your skills as a birth doula to providing miscarriage support for your communities in this full-day workshop. This is a full day workshop with a lunch break. Investment: $95 per participant. Register with a friend and save $30 off the second registration (=$80.00 each). This is a specialized CPR-HCP class designed for doulas, but also meets the requirements for the UBC Midwifery Program and nursing programs. You get a certification in CPR-Health Care Provider, and we also go in to how to modify for pregnancy and how to support clients through a neonatal resuscitation event both in home and hospital environments. Adult, child, and infant skills are covered, and this is a professional level certification that is appropriate for certifying organizations, postpartum work, and many workplaces outside of the birth world, too. This event is going to be held at Camp Capilano in North Vancouver, and 2 nights accommodations (bunk beds, summer camp style) are provided onsite and included in the ticket price. Food will be potluck and organized near the time of the event. While the ticket price includes accommodation, there is no discount if you choose to sleep elsewhere. While Camp Capilano feels like it’s in the middle of the woods, it is right in town, 5 min from the Lions Gate Bridge, and gets full cell reception. 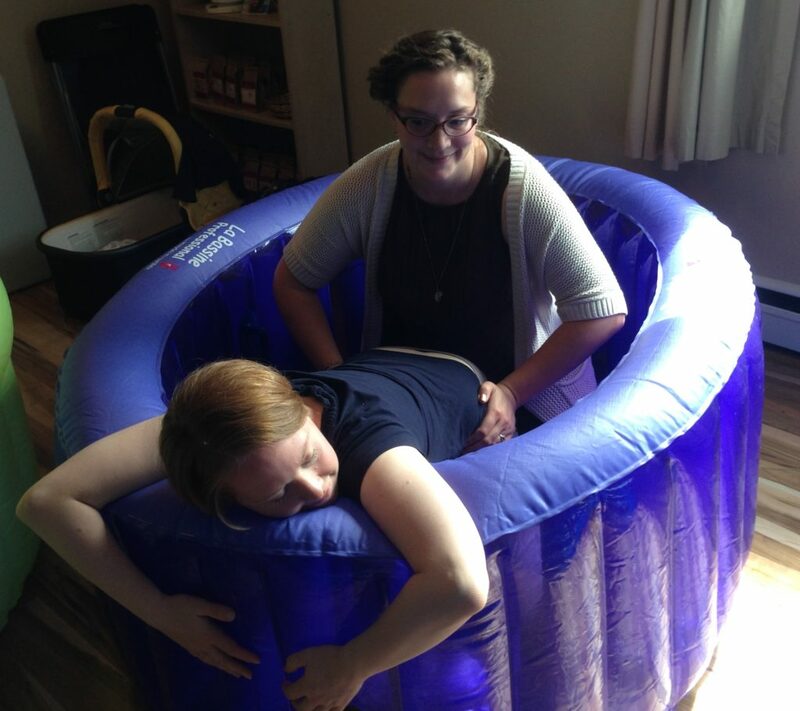 It’s on-call friendly for Vancouver area doulas. There is also a very well heated swimming pool. Just sayin’. Pre-mobile babies in arms are welcome to attend the event, but are not allowed to sleep over. Mobile babies are not allowed for safety reasons. Our Speakers for this event will be Whapio Diane Bartlett and Lesley Everest. Please check out their websites to learn more about these incredible birth gurus! Payment plans are available for as low as $27 per month depending on how many months you spread it over – $27 would be spreading it over 7 months. There are no refunds for tickets, but tickets are fully transferable, so if you can’t come you can sell your tickets. There are no refunds for partial payments that are part of a payment plan, and tickets must be paid for in full for admission to the event (but you can sell a partial ticket as well and the buyer would just need to pay the difference). WARNING! FLOCK YEAH! mini birth conferences are FUN, INFORMAL and IRREVERENT. Most folks expect birth workshops to be about increasing skills to “do” more stuff. This is about learning to REALLY understand the needs of the birthing family and BE an effective companion. Flock Yeah! will be a gathering unlike any other birthy event you have attended. There may be “mild” swearing and loads of laughing. There WILL be transformation. If you are okay with all of this then sign up right away! Learn ways to release self limiting beliefs and learn how what you really ARE is more important than what you DO. If you are down and OPEN to have your world rocked and your mind blown, COME TO THIS WORKSHOP. If you are down to have your hair blown back and your ideals rocked then by all means please come read on. This event will be BYOC (Bring your own Chocolate, we will be having a chocolate bar exchange). Please note: Your feelings will be respected and know you can walk out and anytime if you don’t feel like participating. If you are okay with all this, sign up! She can’t wait to meet you! 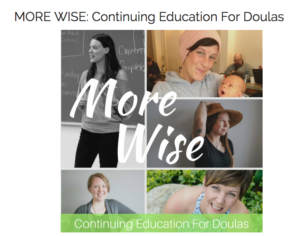 This 1-day event will change how you doula and if it doesn’t, it will certainly add to your experience and career as a doula. Join Gena Garcia-Kirby as she shares her heritage, her passion, and her love of the Rebozo. You will be immersed in all aspects of using the Rebozo from the prenatal period through birth. During the workshop, we will concentrate on relaxation, comfort, and connection with your client in a way that will promote positive outcomes. 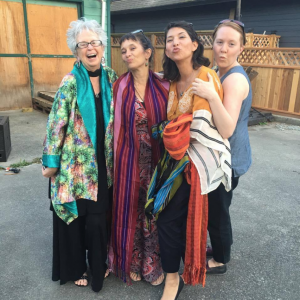 We will get to know one another and the Rebozo’s rich history. We will focus on relaxation techniques that will help the laboring person connect with her care providers and Gena will share ways to include the birthing person partner and ways to help you connect with the hospital or birth center caregivers. We will also focus on comfort measures in labor, pushing and postpartum. Get the clients you want by showing them why they want to hire you in your interview with them. $40 per student. Ramp up your comfort skills in this three part class. 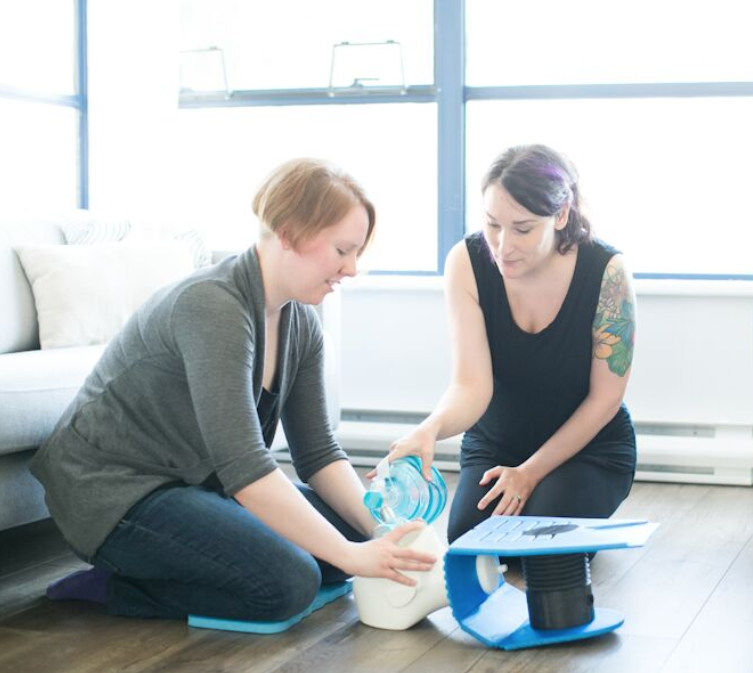 We will cover Rebozo and Positional Support with a wise perspective on use, Water Birth Setup and TENS unit use, and Supporting Long or Challenging Births. Investment: $95. Register with a friend and save $30 off the second registration (=$80.00 each).This is an in-person class in Vancouver, BC, held at 405 West 5th Avenue. This event is going to be held at the Five Oaks Summer Centre, and 2 nights accommodations (bunk beds, summer camp style, rustic) are provided onsite and included in the ticket price. Food will be potluck and organized near the time of the event. While the ticket price includes accommodation, there is no discount if you choose to sleep elsewhere. This beautiful retreat centre is located in Paris Ontario. It is within an hour drive of both Toronto and London, and less than an hour from Hamilton, Guelph, and Kitchener-Waterloo. There is cellphone reception, and the event would be on-call friendly for doulas in both London and the GTA. Pre-mobile babies in arms are welcome to attend the event, but are not allowed to sleep over. Mobile babies/toddlers are not allowed for safety reasons. If you are breastfeeding and are concerned about this policy and how that would work for you, please get in touch to talk about your specific situation. We support breastfeeding, and want to make this as inclusive as possible while also respecting the venue and other participants. Payment plans are available for as low as $29 per month depending on how many months you spread it over – $29 would be spreading it over 10 months. Payment for partial payments can be made by email money transfer to jcolpitts@me.com . We will also focus will be on comfort measures in labor, pushing and postpartum.